Modern Maintenance Products NZ LTD. is a privately owned Company that was established in New Zealand in 1993, importing industrial floor coatings, anti-corrosion paint, concrete coatings, water proof coatings, roof coatings, pool coatings, concrete floor coatings and protective paints for the industrial sectors in New Zealand. 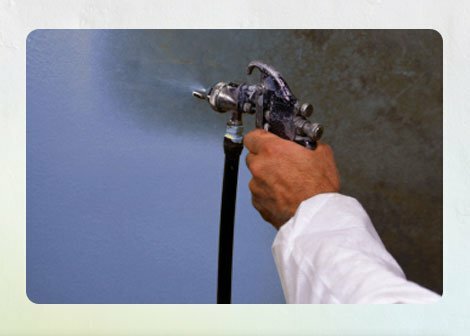 As the Company grew, the demand for high quality Industrial Protective coatings became apparent, and in 1998, the Company aligned with Rust-oleum Industrial Coatings, one of the oldest Manufacturers based in the United States, and started importing their high quality industrial protective anti corrosion coatings from the USA. We also import a range of other industrial roof coatings from Europe. At Modern Maintenance Products, we will advise you at no cost, on what is the best methodology and product to protect your assets. We will prepare a full specification, including the correct preparation to be implemented, and the best coating system for the conditions and the application you have. We have approved Applicators around the Country that will prepare and apply the products for you, or, we will instruct your preferred Applicator, on how to apply these high quality materials. Modern Maintenance Products can also extend full coatings inspection reports on completion, and extend conditional product performance guarantees, depending on the application. Our protective coatings can be found on many global historic structures, and in severe coastal and industrial environments, on every Continent around the globe.The most well known is called Noxyde, undoubtedly, the best long-term corrosion protection, money can buy. The Bridge at the Viaduct and the extension with the metal framed truss has been protected by Noxyde Anti-Corrosion paint since construction was completed.